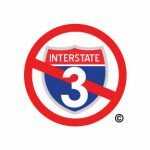 The Federal Highway Administration awarded ICF International the contract to conduct the 3rd Infantry Division Highway Corridor Study, better known as the I-3 Study. Jim Grode, WaysSouths Executive Director, recently attended the second meeting of the Expert Working Group (EWG) monitoring the I-3 Study. We asked him how the study is progressing. The purpose of the I-3 Study is as nebulous as ever, reported Grode. FHWA and its contractor are doing the study because the statute, the law, tells them to. There is no other defined purpose and need for the project. How do you determine whether a routing should be considered when you dont know what the route needs to accomplish? he questioned. Study Phases: The FHWA study (being performed by Wilbur Smith Associates, subcontractor to ICF International) is occurring in two phases. Phase 1 is underway and the end product will be what Wilbur Smith is calling a Conceptual Feasibility Report, which will be used to inform Congress of the steps that would be necessary to move the project forward and provide a planning-level estimate of the cost to construct each of several alternative routes and designs. Phase 2 is optional and would include additional sub-studies of various issues as recommended by the EWG and contractor. It could ultimately be something like a full feasibility study. The study will not result in a recommended alternative (unless directed by Congress) and will not necessarily lead to construction of any specific improvements. According to the contractor, further work will occur only if the affected states request it. Study Area: The study area identifies the area of influence for traffic and public involvement activities. The South to North length of the study area extends from Savannah to Augusta, on to Lavonia, GA, and then to Knoxville, TN. The width of the study area ranges from Atlanta on the west to Columbia and Greenville on the east. Savannah Control Point would provide for a connection along I-95 between the east side of Fort Stewart and the Savannah River Parkway. Augusta Control Point extends from west of Fort Gordon to the other side of the border. The point would provide for a corridor crossing I-520 around Augusta or I-20 from the western edge of Augusta to a point just west of Fort Gordon. Lavonia Control Point is along I-85 from west of the Greenville Bypass (south side of Greenville) to the US 441 Interchange (just north of Commerce). Knoxville Control Point would connect to an existing limited access highway in Knoxville. Public Involvement Plan (PIP): A project website, within the FHWA website, is slated to go live. It will include a public comment form. Currently there are no plans for public meetings. Illustrative Corridors: The contractor is drafting maps to illustrate potential corridors for the 3rd Infantry Division Highway (I-3). The EWG is reviewing these and urging the contractor to use routing that follows existing highways and avoids wilderness areas. Savannah to Augusta Corridors The study is looking at various options  at least one at Interstate design level, one utilizing existing highway upgrade. Augusta to Knoxville Corridors One route inside the Great Smoky Mountains National Park is being studied, along with several routes outside GSMNP. Note: The final study is due to be completed late 2011. It will not formally consider the no-build option, since the purpose is to identify potential routes, and no-build is not a route. However, if the process moves forward, the law will require that the no-build option be formally considered.